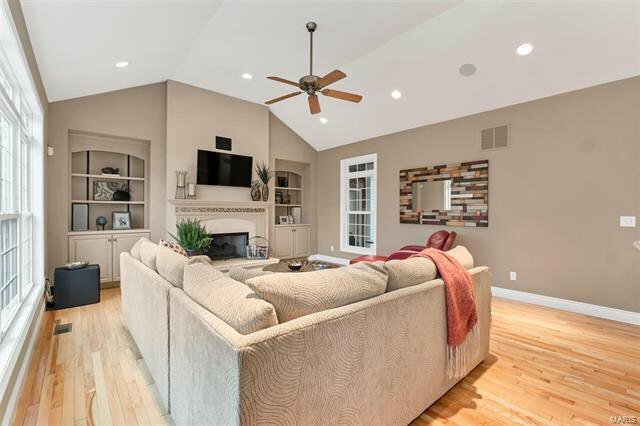 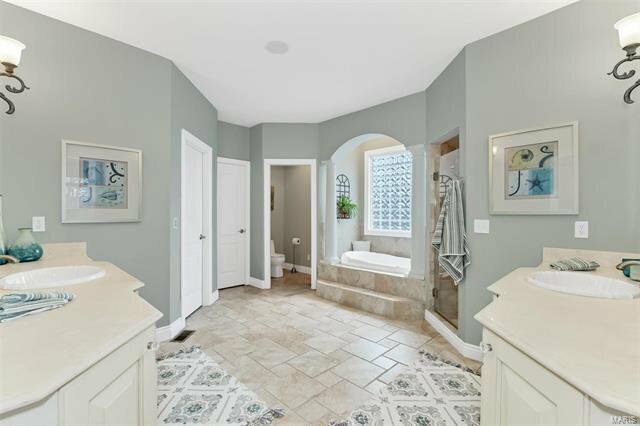 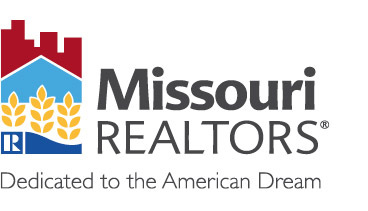 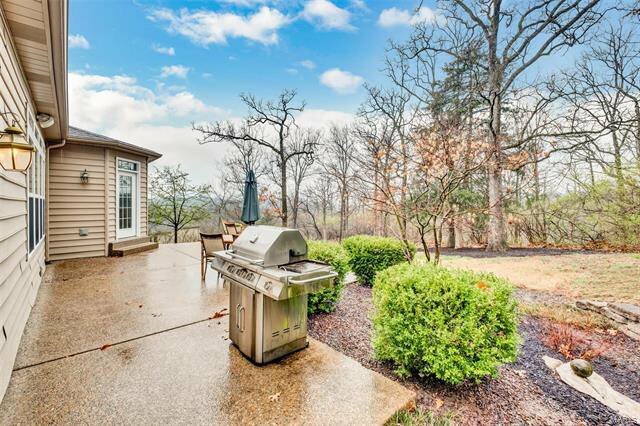 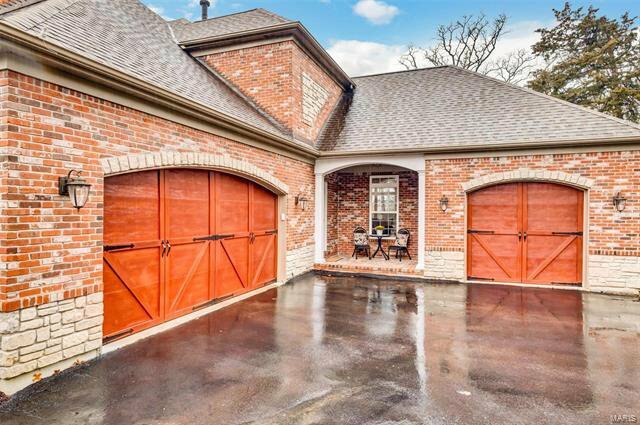 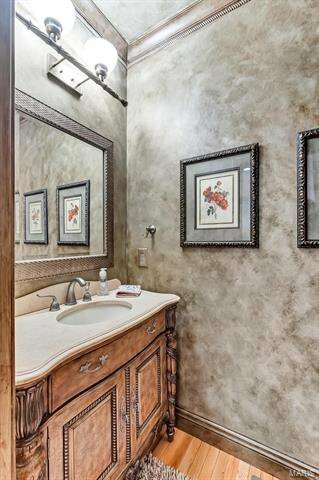 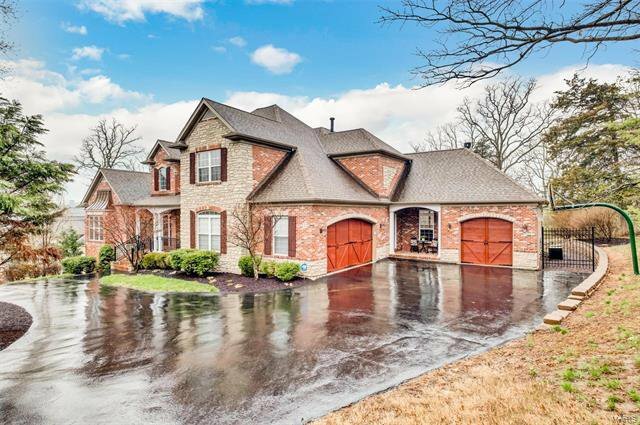 Custom, luxury built 1.5 story brick and stone home tucked into a private street surrounded by mature trees. 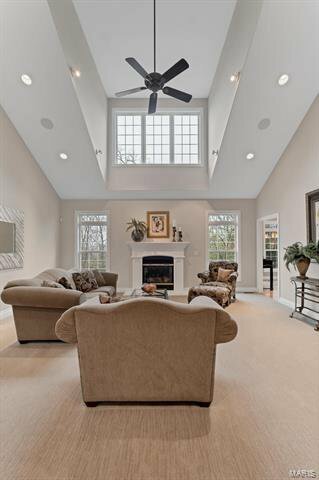 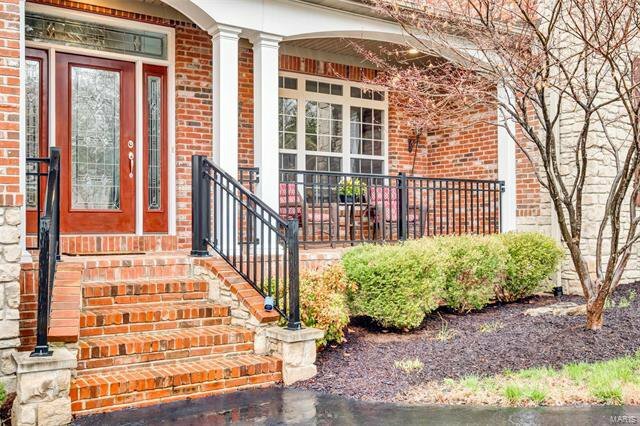 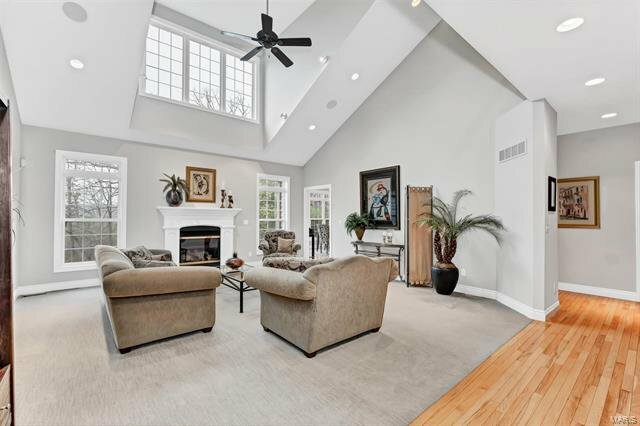 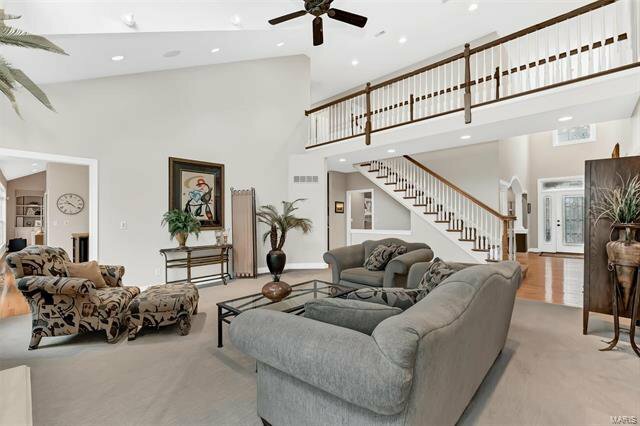 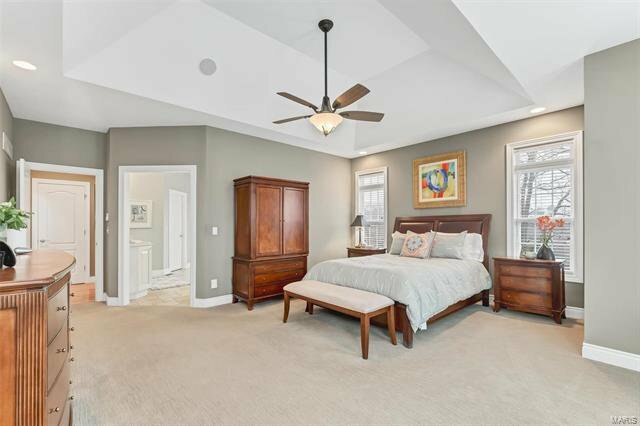 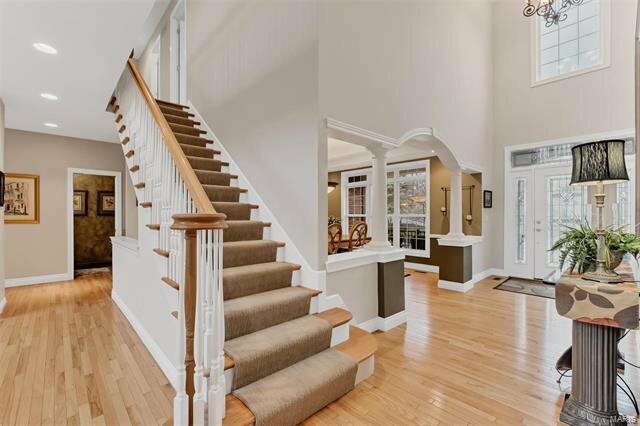 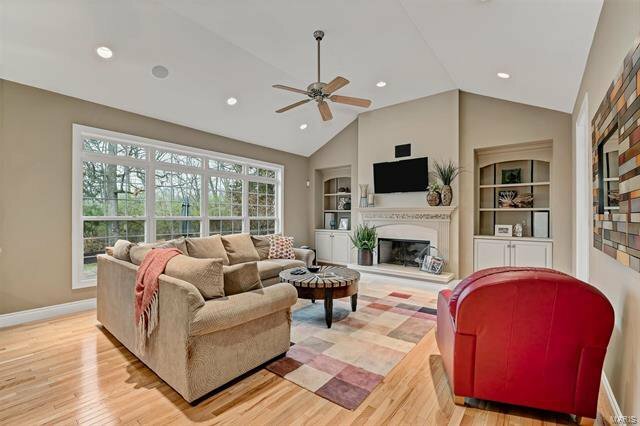 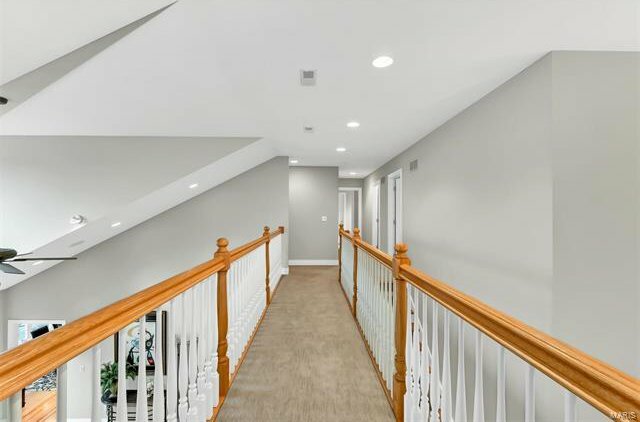 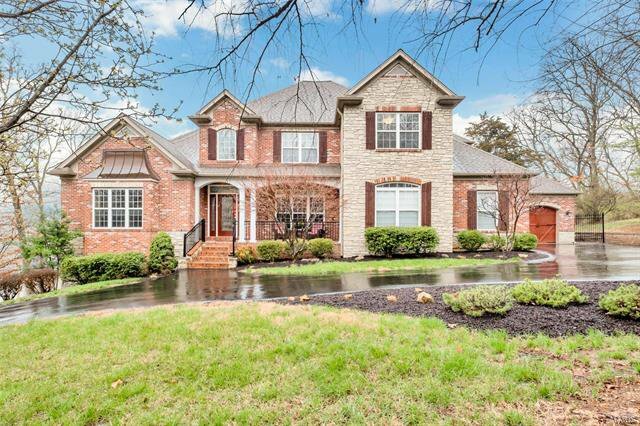 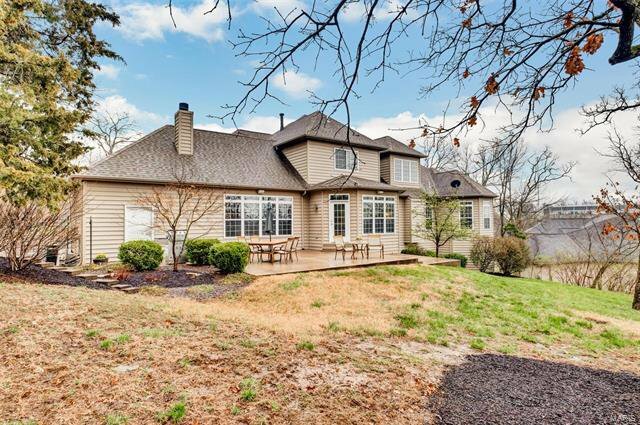 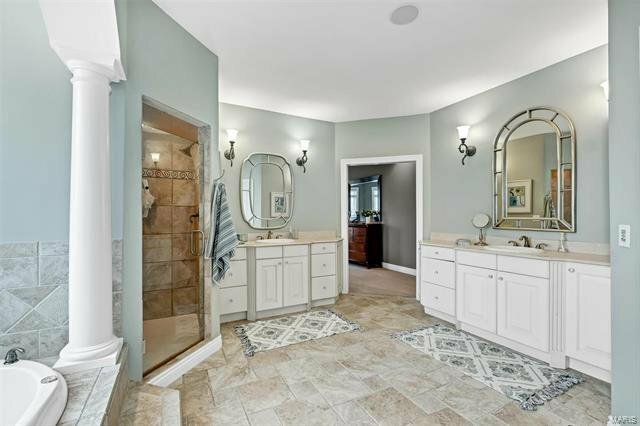 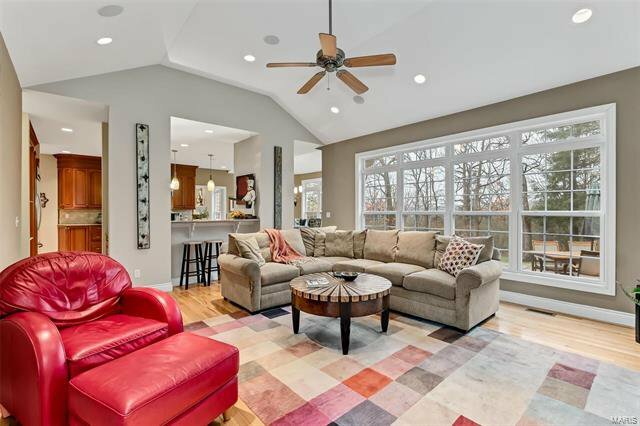 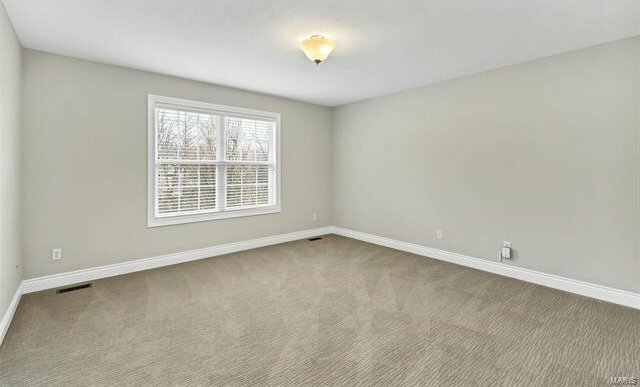 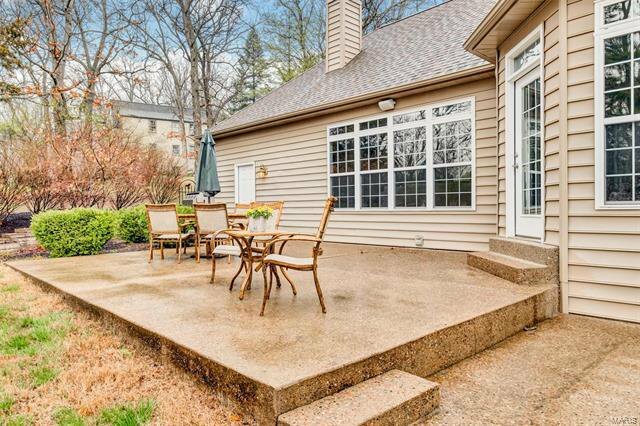 This 5-bedroom, 3.5 bath home has hardwood floors and a dramatic two-story foyer. 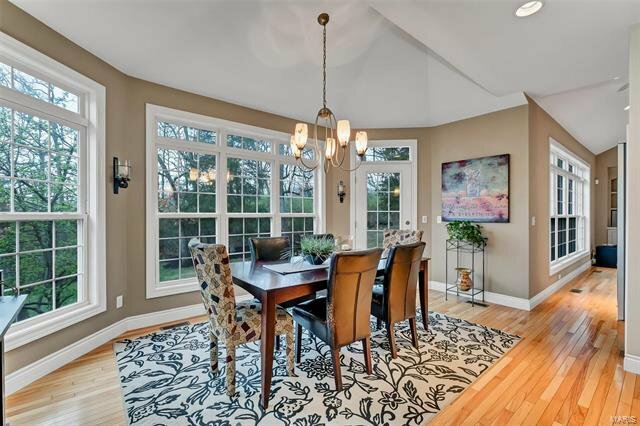 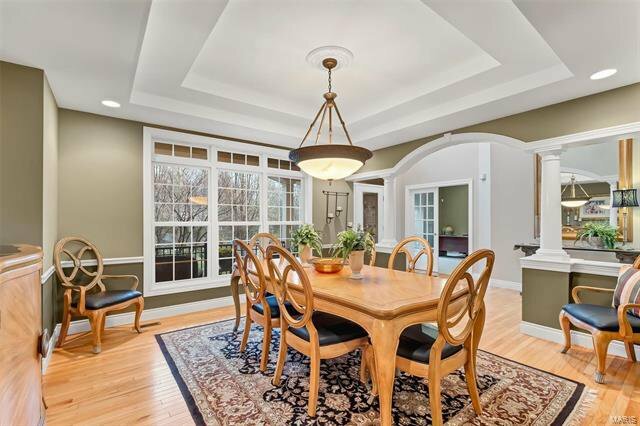 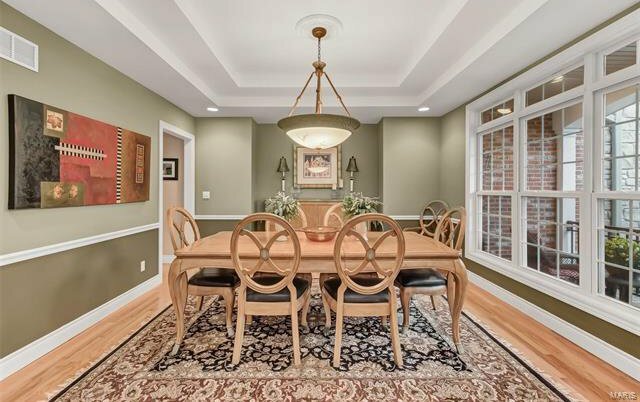 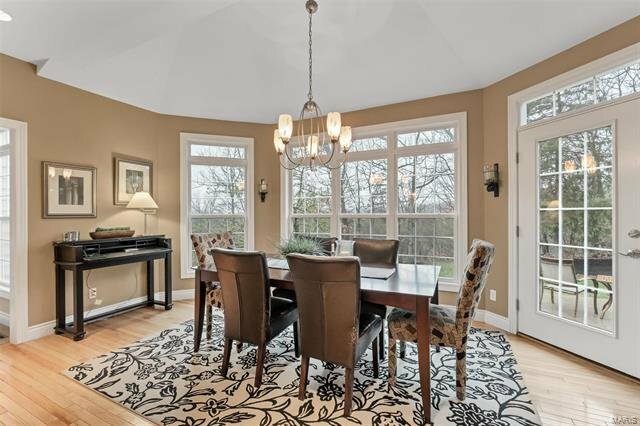 Formal dining room is bright and spacious with a tray ceiling. 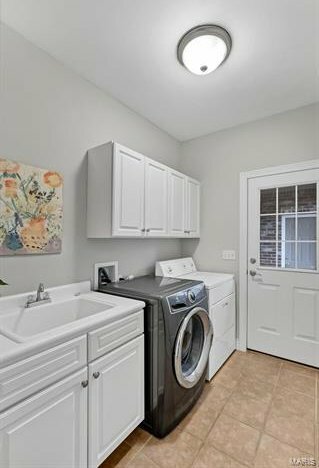 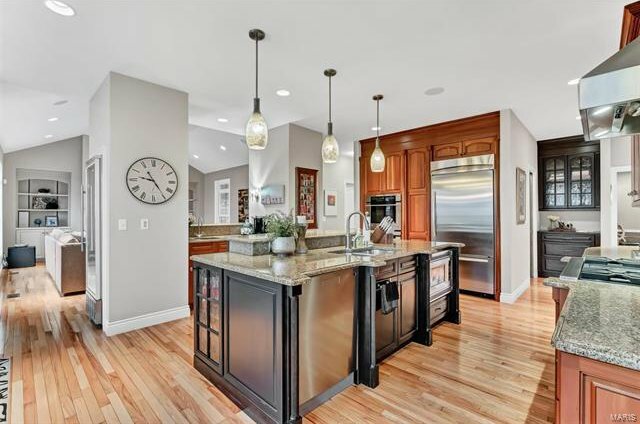 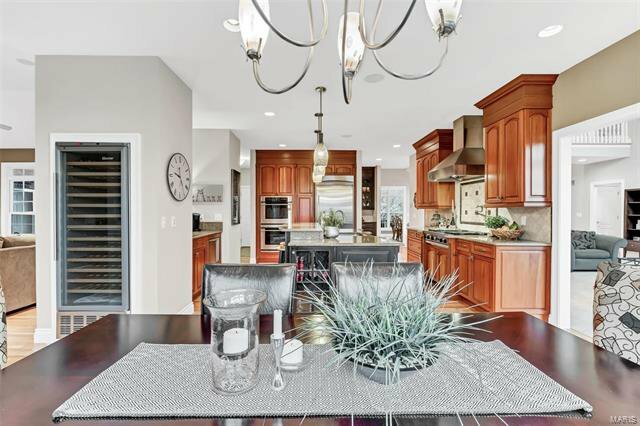 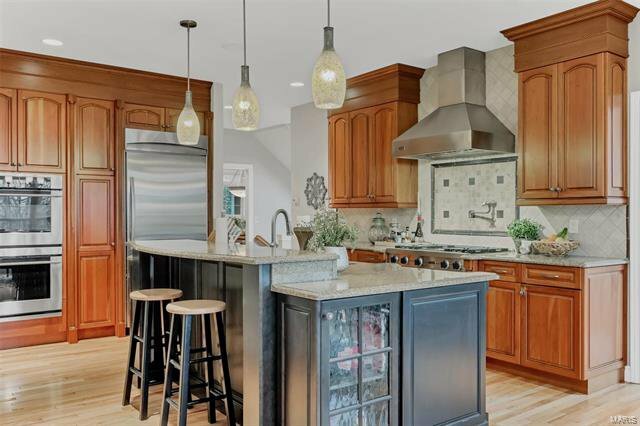 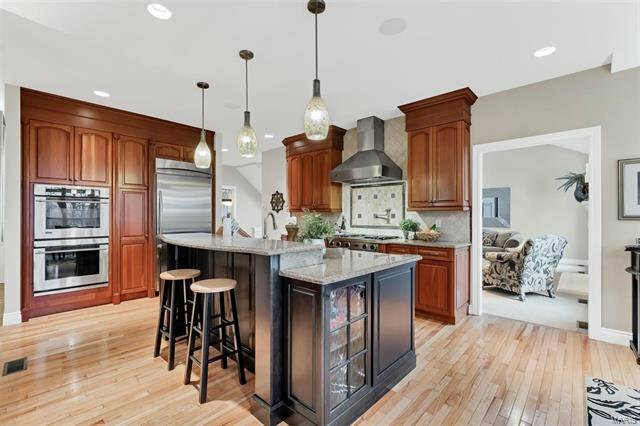 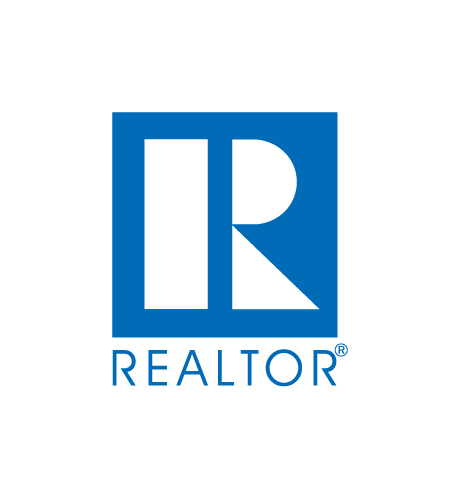 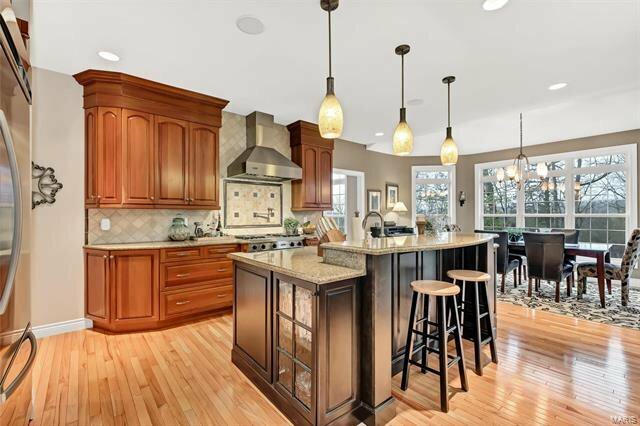 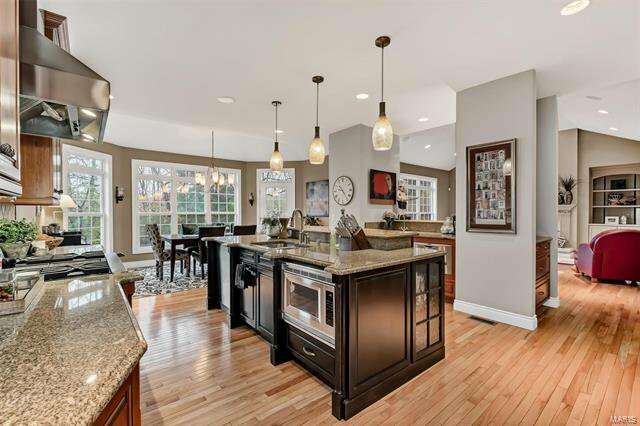 In the kitchen you’ll enjoy granite countertops, custom cabinetry, high-end appliances & sweeping floor plan filled w/light and architectural details. 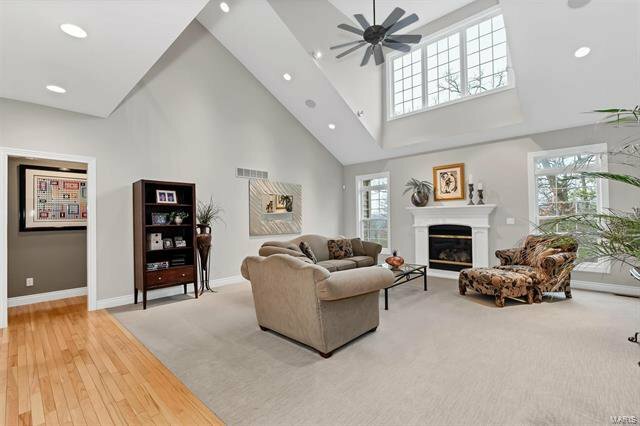 Vaulted hearth room with gas fireplace and built-in bookshelves flank the kitchen. 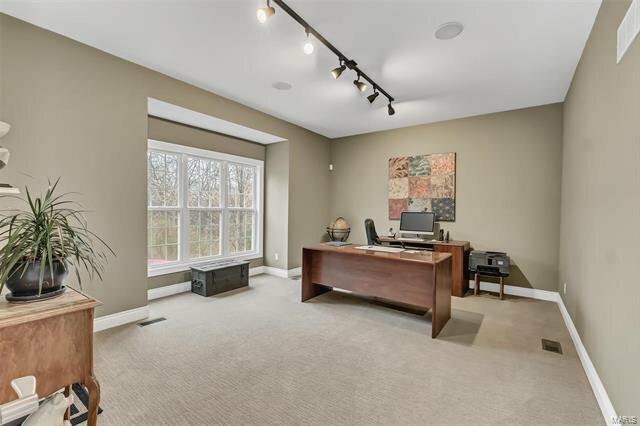 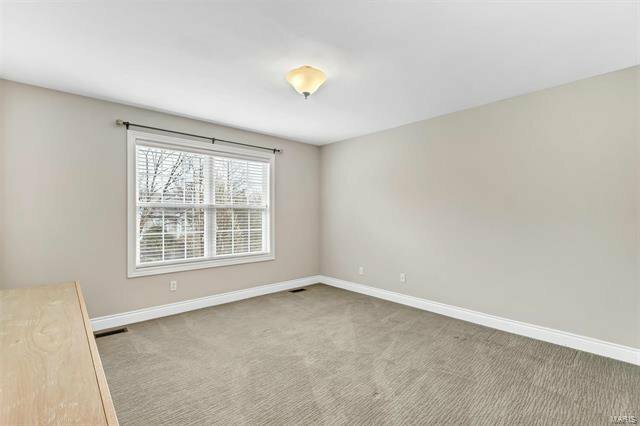 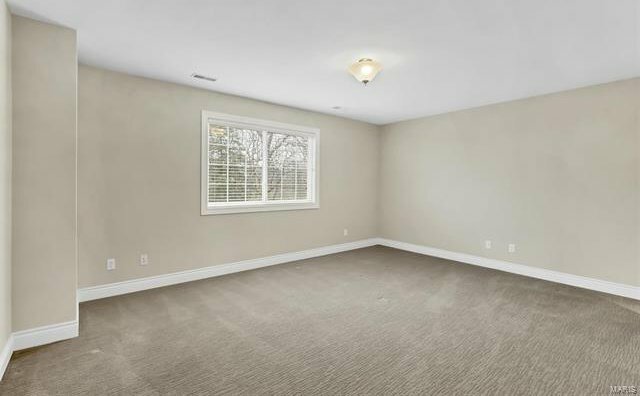 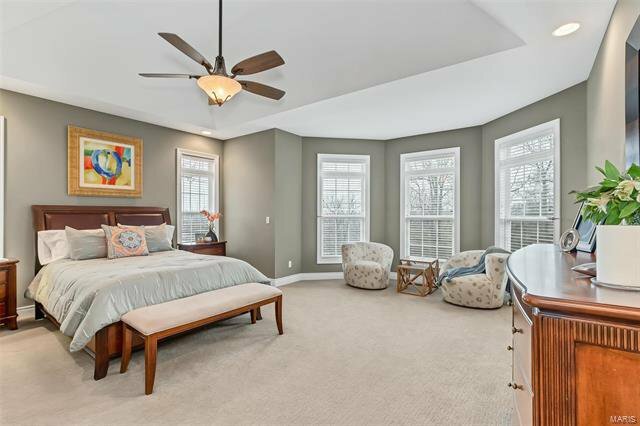 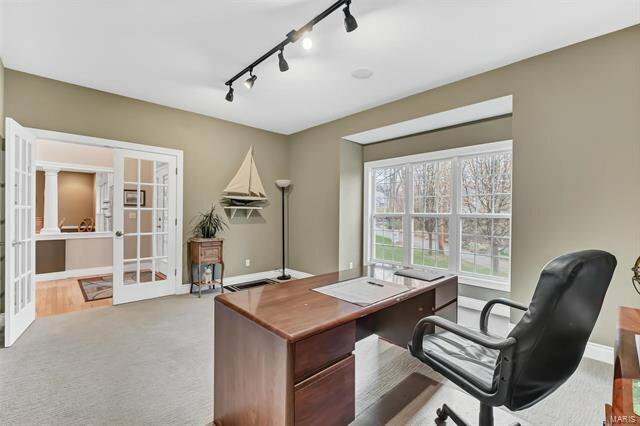 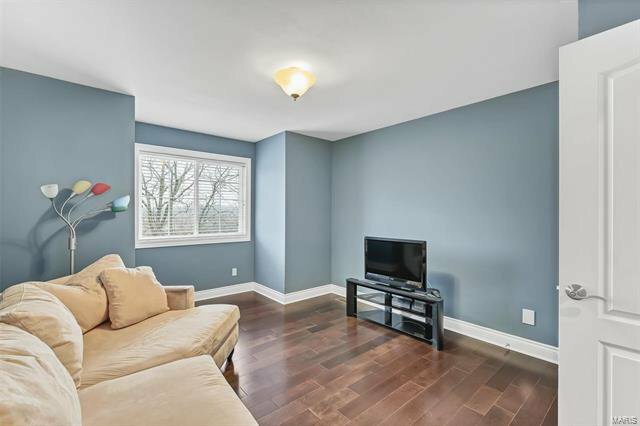 Main floor master suite with another tray ceiling, beautiful bay window with more light and a view of the wooded lot. 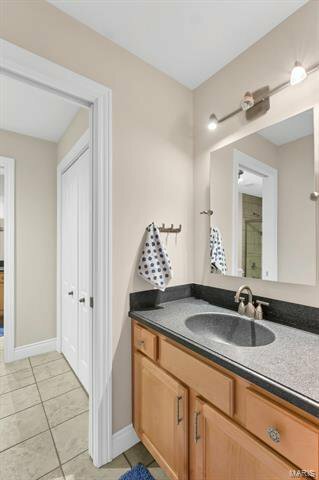 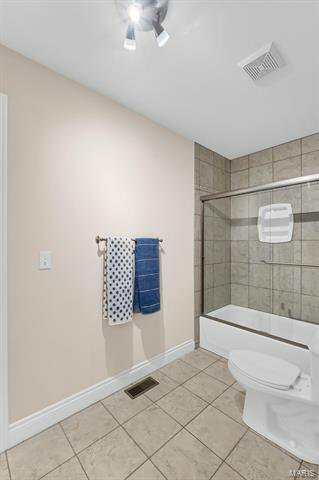 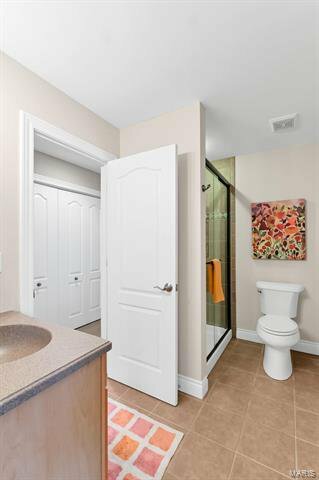 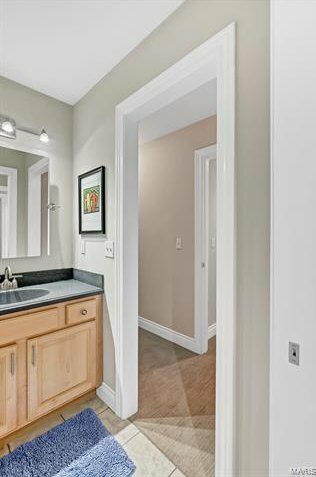 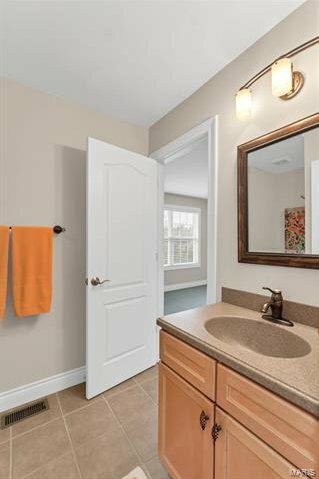 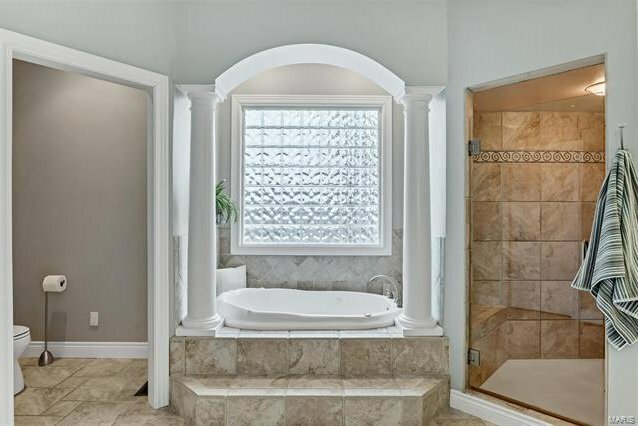 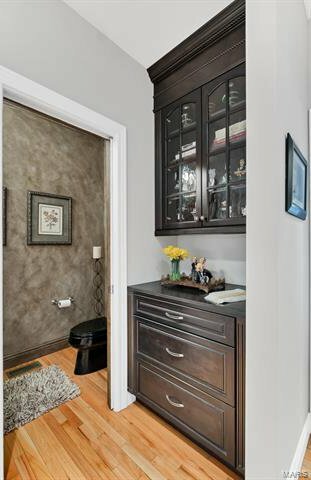 Indulge in the master bath with separate soaking tub, shower with hinged frameless glass door and large walk-in closet. 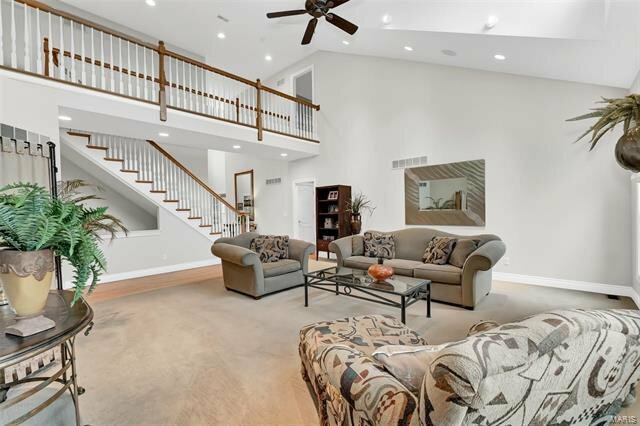 Upstairs has an additional 4 bedrooms with two full baths. 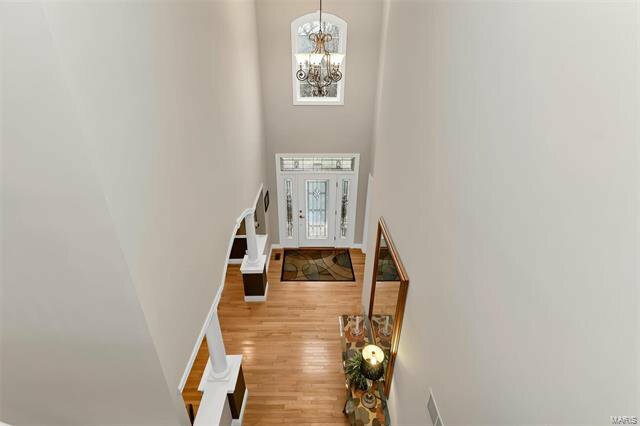 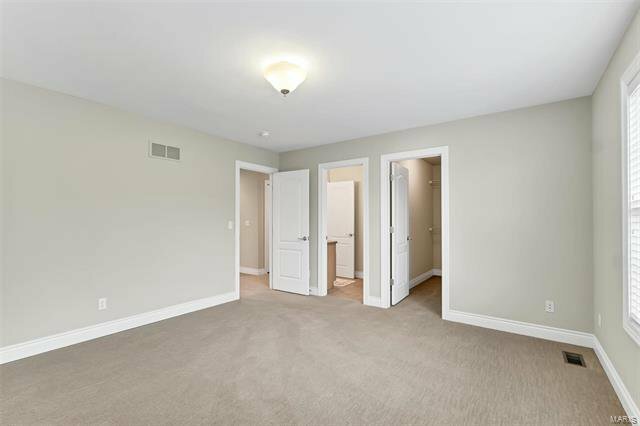 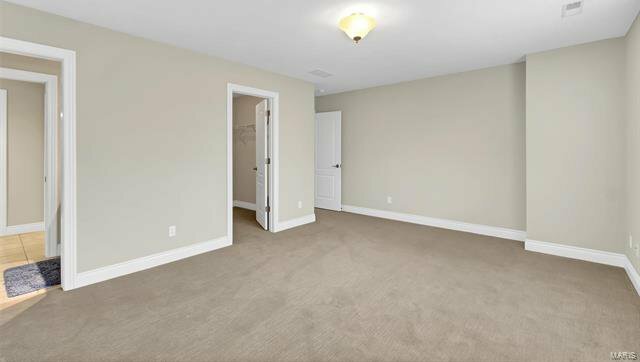 Walkout lower level with tri-zone heating cooling. 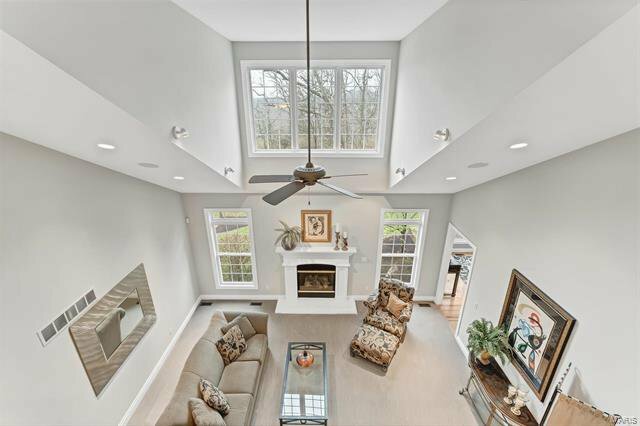 This home is built by a custom homebuilder for private use—no expense was spared in creating this retreat. 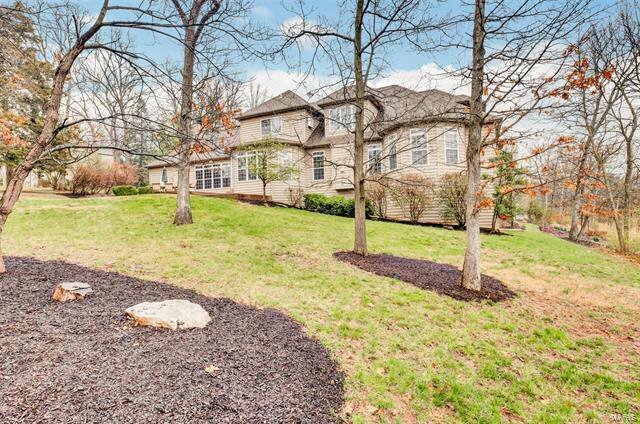 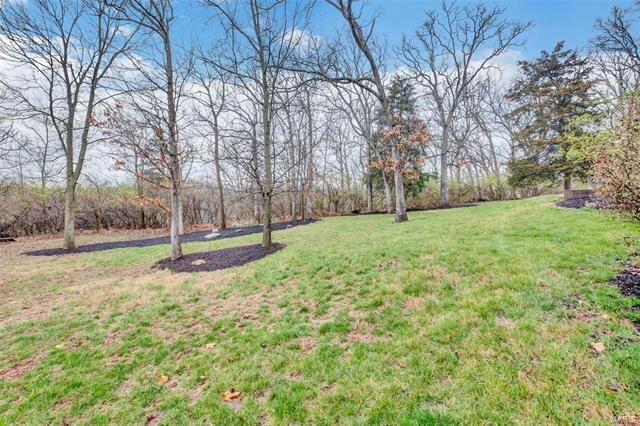 Here’s your chance to own this one-of-a-kind home.